Steel Framed Buildings are used for most industrial construction projects. Steel Frames are also becoming popular in housing projects. Steel Framed Buildings offer a wide variety of options for build projects, and the nature of steel makes them long lasting, flexible and quite often maintenance free. 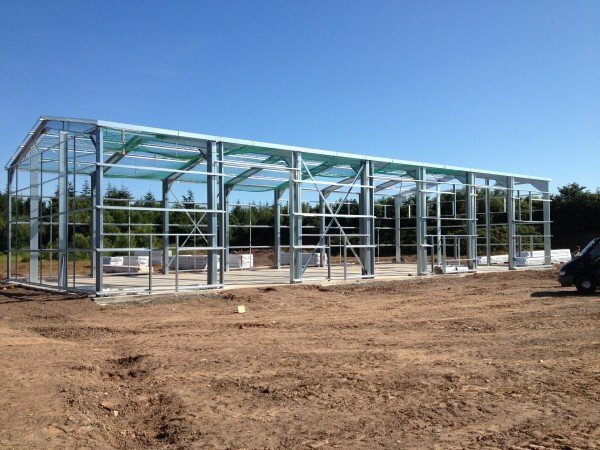 Our Steel Framed Building solution can generally produce a building frame that will clear span up to 20 meters wide, 6 meters to eaves and multi bays to create the required length. Other design options are available if these standard sizes are not suitable. Our Steel Frame component manufacture is generally all done by CNC driven automated manufacturing processes. Allowing fast, efficient manufacture. 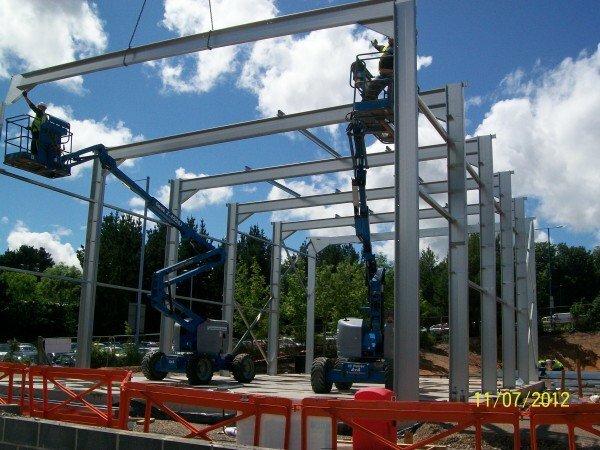 Steel Buildings can design, detail, manufacture and deliver a steel Frame in 2 to 4 weeks. Contact a member of our sales team, who will happily discuss your needs and offer advice on the best Steel option available.